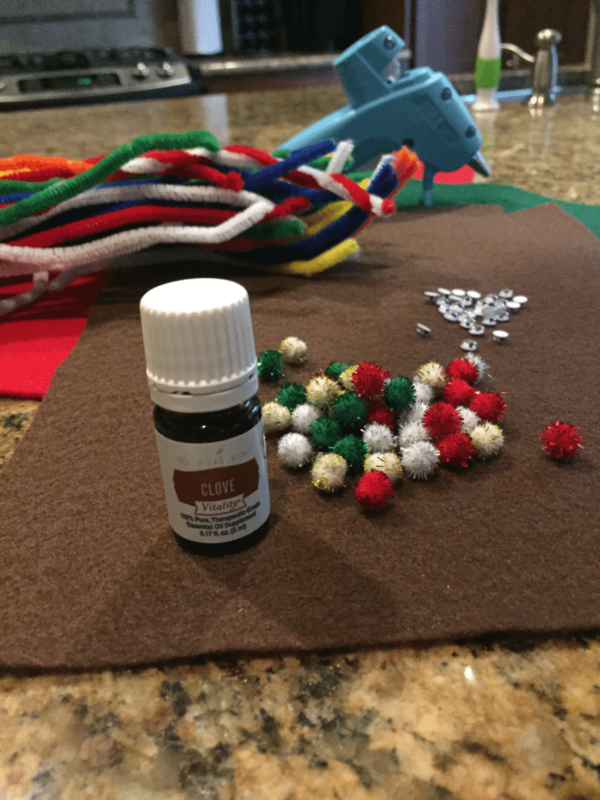 How to Make the Perfect Essential Oil Gift Topper in Less Than 5 Minutes. Are you looking for the perfect gift for that hard to shop for friend, family member, teacher, coworker, or Secret Santa? Look no further because we found the perfect gift that everyone will love and use that won’t break your holiday shopping budget. 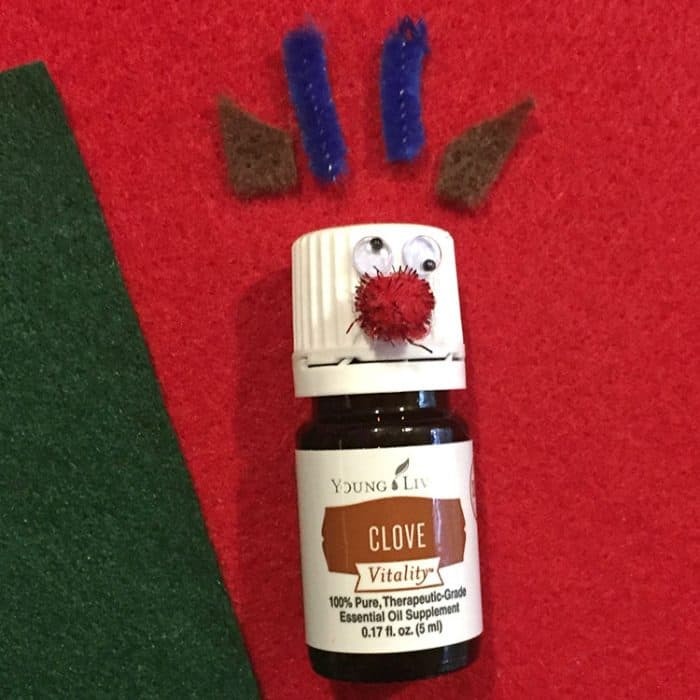 Order your “hard to shop for” friend a bottle (or two) of Young Living Essential Oil, then make this festive essential oil gift topper to decorate it and make it fun for the holidays. 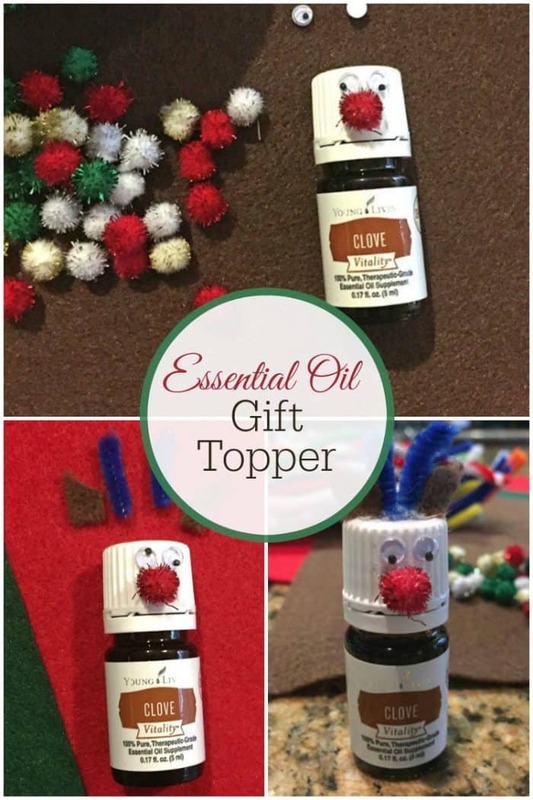 Now that you have your oils to gift, are you ready to decorate them? What is your favorite part about the holiday season? 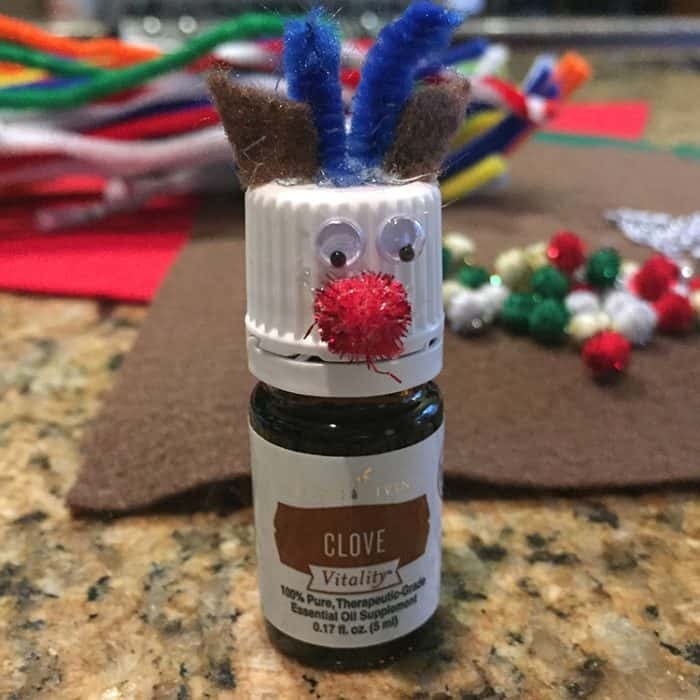 You might enjoy decorated trees, snowflakes, wrapped presents, cookies, Rudolph the Red Nosed Reindeer, whatever makes you most excited about the holidays, pick some sort of inspiration to use when decorating your essential oil bottle lid. Whether you are raiding your children’s craft supplies or throwing a few items in your cart at the store, you will be able to find what you need for a few dollars or less. 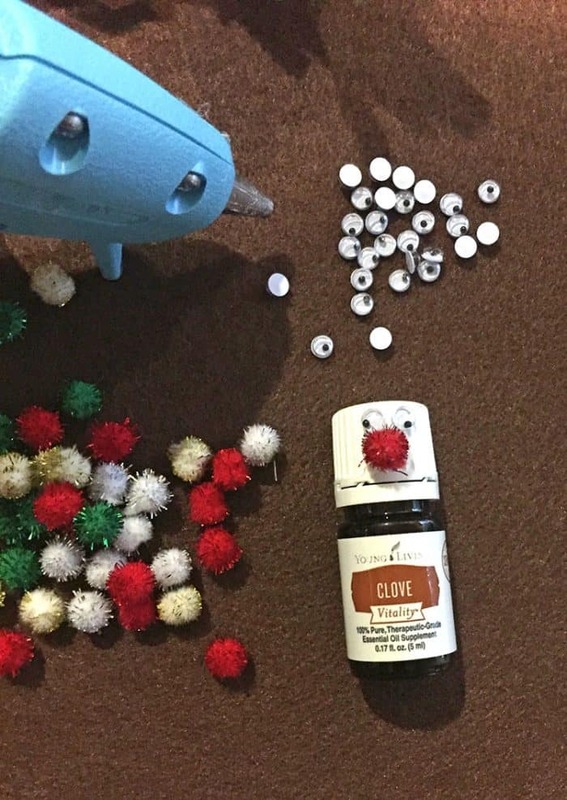 I bought felt, pipe cleaners, pom-poms, and googly eyes at my local craft supply store. I decided to recreate Rudolph the Red Nose Reindeer. First I hot glued a red sparkly pom-pom and pair of googly eyes to the lid. I used hot glue so that after receiving the gift, if my friend wants, he or she can remove the decoration without a trace. Next I cut out a set of ears from the brown felt and antlers from pipe cleaners. I attached these to the lid with more hot glue. Step 4: Enjoy your craftiness and gift you adorable oil to a friend!